Two years ago on my family blog There’s Always Room for One More, I had a Six Days of Christmas giveaway. For six days, I gave a prize away. The prizes started small and worked their way up to a couple of big ones– an electronic picture frame and a Zune mp3 player. My entire family got involved with the giveaway and my oldest daughter still talks about it. So I thought: Why not do something similar this year? Welcome to My Favorite Things Giveaway!!! This giveaway is all about my favorite things. Lucky for you, I have lots of favorite things. My most favorite thing in the world is my kids. But obviously, I can’t won’t give them away. 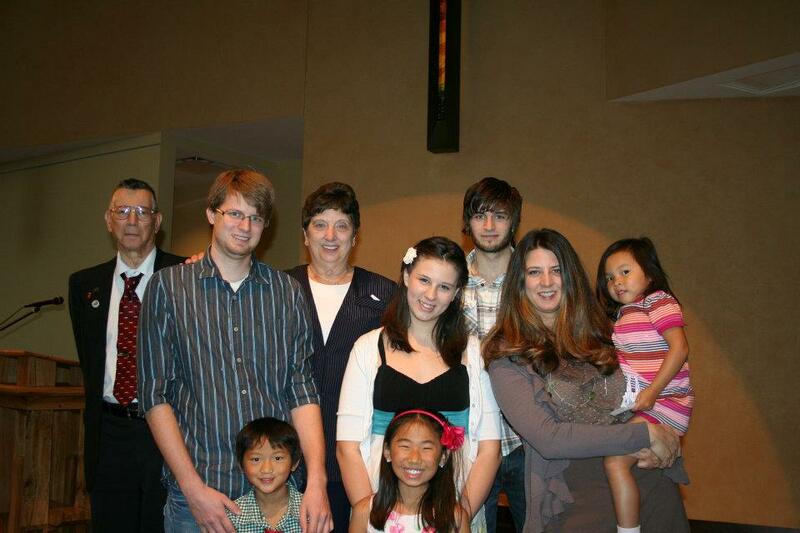 So what’s almost like my children? Prize #1 is an eBook of all four of my books. Prize #2 is an autographed set of all four of my print books. My addiction to Starbucks is known far and wide. I’ve written blog posts about it (Which is really quite sad. Especially when you notice the plural.) 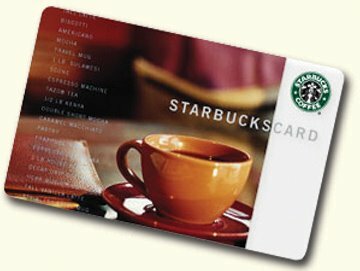 It seems only natural that I would giveaway something Starbucks related. However, my favorite drink–a nonfat, no whip Mocha–might be hard to send through the mail. So how about a gift card instead? I like to read. I used to read a LOT before I started writing full time. Still, I probably read more than than the average person. (Forty-six book so far this year.) So I want to share my love of reading. With a Barnes & Noble gift card. 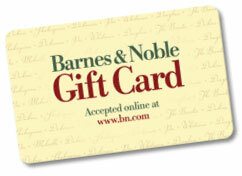 Prize #4 a $20 gift card to Barnes & Noble. 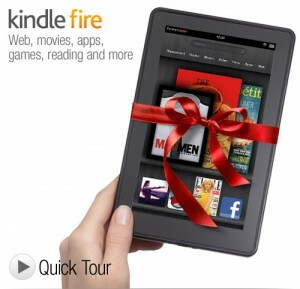 Prize #5 is a Kindle Fire. Post a review of one of my books somewhere and get an entry. Post it somewhere else (can be the same review) and get another. The possibilities are endless. (Not really endless, but I’m too lazy to do the math.) Where can you post it? Amazon, Barnes & Noble, Smashwords, Goodreads, Shelfari, Library Things, your own blog, Tweet about the book, post about it Facebook– See? TONS of options to get entries to win. Then multiply that by FOUR because there are four books. Endless. Or close to it. Now you’re saying, “But I already posted a review! That’s not fair!” To which I say, “You’re still eligible!” You can get entries for ANY review you’ve posted, no matter how long ago. Although if you posted something before July, 2011, I’ll suspect something’s up since my first book, Twenty-Eight and a Half Wishes, just came out in the beginning of July. All you have to do is leave a comment telling me which book and the link to where you posted the review. You can leave all the links in one comment or put them in separate comments. It’s entirely up to you. BUT WAIT. You have a chance to get EXTRA ENTRIES. All entries are eligble for ALL prizes. You name and entry number will not be pulled from the number pool if you win one of the other prizes. The contest runs until Sunday December 18, 2001 at midnight, CST. Winners will all be picked and announced the morning of Monday, December 19. Entries are limited to United States and Canada due to the cost of shipping overseas. This contest is closed. Winners will be announced shortly. I was one of your first five reviews for HERE on Amazon, so give me 5 entries, right? I’ve got you down!!! And yes– for FIVE. Thank you! I was very happy to find 28-1/2. Rose Gardner is one of my favorite characters. Thank you! I saw your review on Amazon and I have you down! I’m so glad you like Rose. She and the town of Henryetta are so much fun to write! Thanks so much! Seriously one of my favorite books. Got all of these, Chelle! Thank you!!! I think I might be your #1 fan because I reviewed all 4 books on 3 sites each (Goodreads, B&N (user: miele610) and Amazon (user: Jack’s Mama)) and was in the first 10 for both Hunted and Here. And I recently posted on FB. I think that gives me 21 entries! See, I think I might really be your #1 fan! Avery, got all these and the blog post you put up for Twenty-Eight and a Half Wishes! Thank you!!! Just finished Twenty-Eight and a half wishes after hearing about it on Facebook. I could not put it down. Loved the love story mixed in with the mystery. A must read for sure!! Now moving on to the other books you have written! Sara, thank you so much!!! I’m so glad you like Twenty-Eight and a Half Wishes! I love Rose. ;) I’ve got you down for you Amazon review– and thank you! I left my reviews for three books, I was the 9th reviewer of on one of them but I can’t remember which one!! You were the 9th reviewer for Hunted so you have five extra entries for that, plus the other two. Thank you!!! Here’s all my reviews and I was the first review for Here! Thank you! I’ve got you down and I’m so glad you liked Chosen! Thanks for the awesome review! Hi Denise! Thank you for the chance to enter! I posted about 28 1/2 wishes on my blog in July and I love love loved that book! I reviewed this before I knew there was a contest goign on!